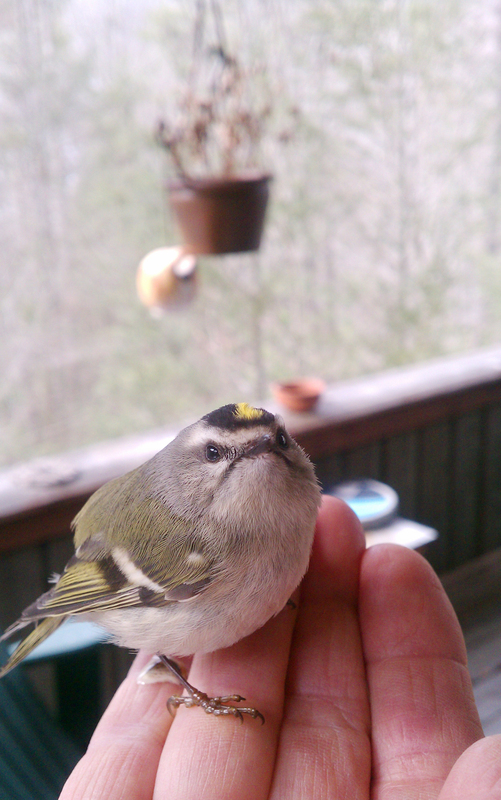 Photo by Elizabeth McPherson • This Golden-crowned Kinglet recovered after striking a window. There are many different ways to become more familiar with the backyard birds at your own home. I’m fond of keeping a year list of all the bird species that travel through the yard and garden at my home. Keeping such a list is a great way to document the seasonal comings and goings of the bird life in your own neighborhood. You may be surprised at what you see. 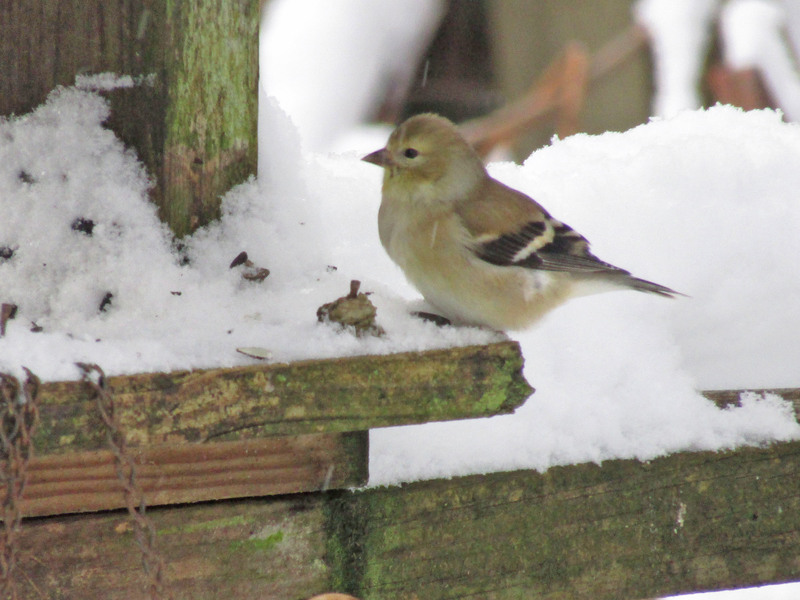 Patricia Werth, a resident of Abingdon, Virginia, sent me an email to share the results of her year of counting birds in her yard. She was pleased with her 2016 results, but she wanted some suggestions for identifying the unknown bird. Based on her description of the bird’s small size and greenish coloration on the back, I suggested she do some online research into kinglets. I received a second email from Patricia thanking me for the suggestion. “After looking up the kinglets, I do believe it was the female golden-crowned kinglet,” she wrote, adding that she was certain that she had seen her before. 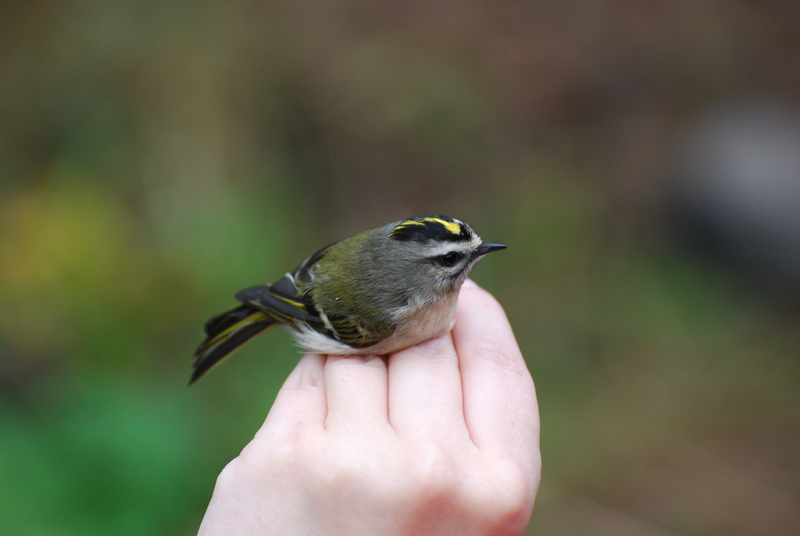 Photo by Jean Potter • This Golden-crowned Kinglet was captured and banded as part of an ornithological study. Her year’s already off to a good start with goldfinches at her feeders. With the recent snowfall, she also saw her first dark-eyed junco of the year. When it comes to size, however, few of the birds that patronize our feeders are as diminutive in size as the kinglets. Photo by U.S. Fish & Wildlife Service/Donna Dewhurst • The ruby-crowned kinglet, pictured, and golden-crowned kinglet are among North America’s smallest birds. Both species are occasional winter visitors in the region. 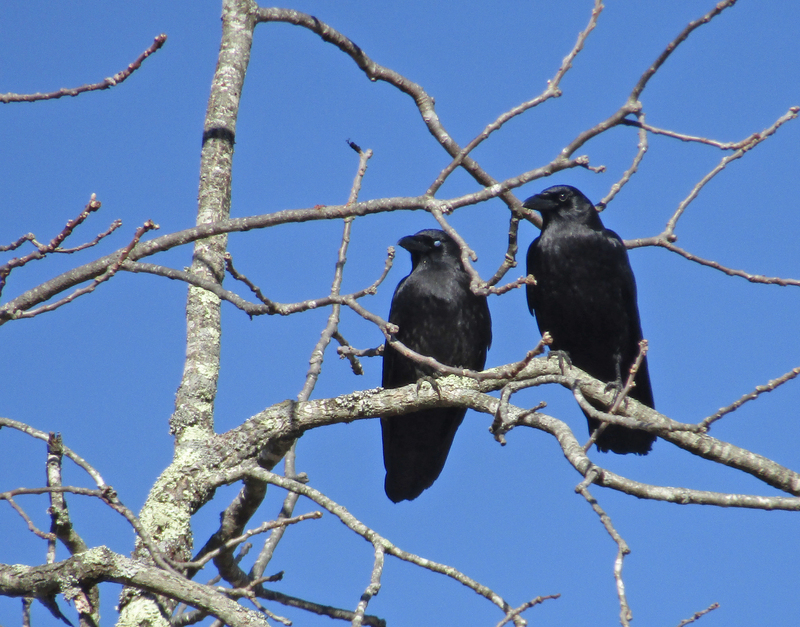 The birds are named for bright crown patches that contrast with their overall drab appearance. As their name suggests, kinglets are tiny birds. In fact, about the only North American birds smaller than kinglets are some of the hummingbirds. The kinglets, known outside North America as “flamecrests” or “firecrests,” belong to the family, Regulidae, and the genus, Regulus. The family and genus names are derived from a Latin word, regulus, which means “rex,” or “king.” The name was apparently inspired by the colorful crown patches, often red, orange or gold, that resemble the royal “crowns” of kings. In addition to the two North American species, four other species of kinglets can be found in North Africa, Europe and Asia. 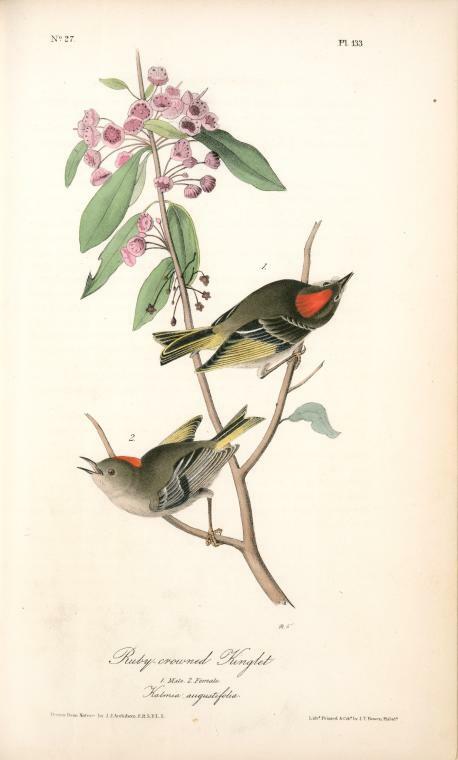 Early American naturalist and artist painted this pair of Ruby-crowned Kinglets. Although similar in size and overall coloration, the ruby-crowned and golden-crowned kinglets are easily distinguished from each other. Side by side, the two species of North American kinglets are easy to identify. The golden-crowned kinglet has a striped facial pattern formed by bold black and white stripes. 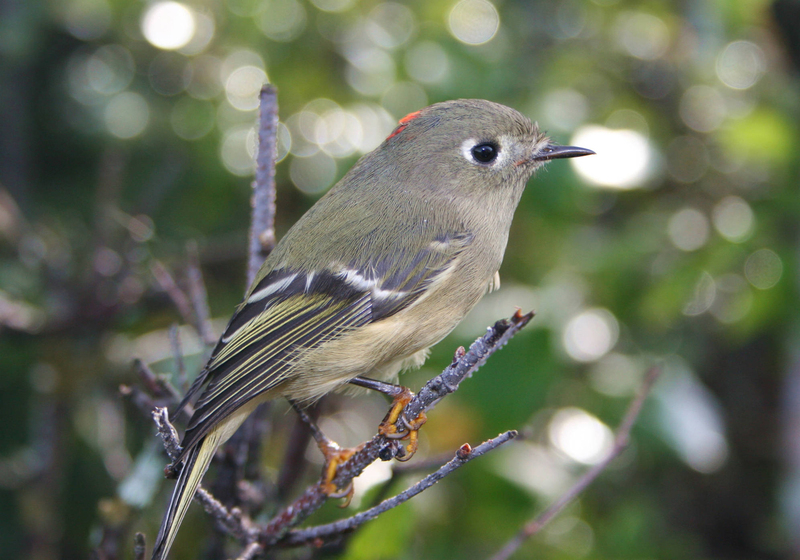 The ruby-crowned kinglet, on the other hand, has a bold white eye ring but no striping. The golden-crowned kinglet has an orange crown patch, while the ruby-crowned kinglet has a red crown patch that is, more often than not, kept concealed. Both sexes of the golden-crowned kinglet possess a yellow crown patch, but only the male ruby-crowned kinglet boasts a scarlet patch of feathers atop the head. Observers can expend a lot of energy trying to get a look at the crown patches, which are typically only displayed when the bird is agitated. Kinglets are very active birds. If warblers can be described as energetic, the kinglets are downright frenetic in their activities. The kinglets almost never pause for long, flitting from branch to branch in trees and shrubs as they constantly flick their wings over their backs. These bursts of hyperactivity can make them difficult to observe. Although small in size, these birds more than compensate for it with a feisty spirit that does them well through the harsh winter months. 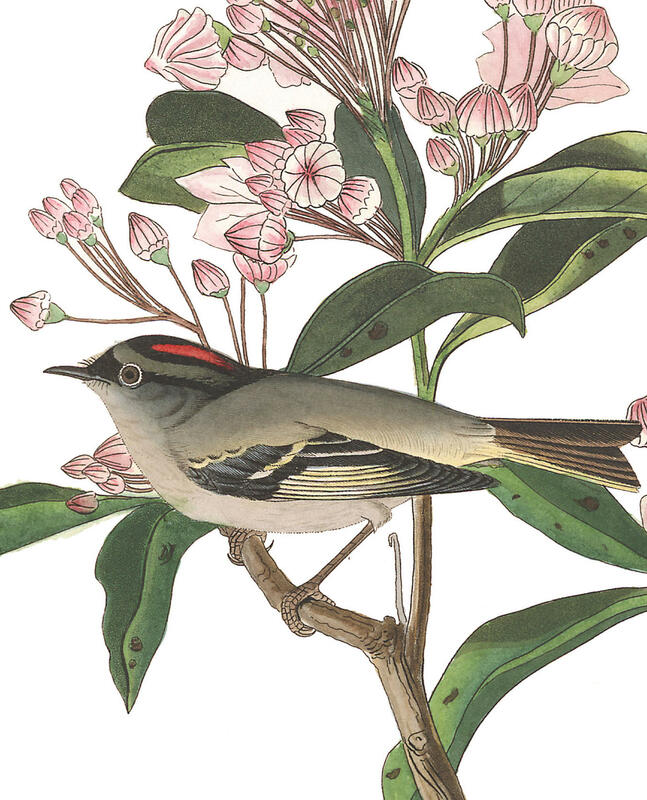 John James Audubon painted this depiction of a bird he referred to as Cuvier’s Kinglet in the early 1700s. No other person has ever encountered a bird matching this description. Kinglets often join mixed flocks comprised of other species of birds, some of which are regular feeder visitors. Perhaps by observing their flock counterparts, some kinglets have learned to accept feeder fare such as suet, meal worms and chopped nuts. Away from feeders, kinglets mostly feed on a range of small insects and arachnids. These tiny birds will also consume some fruit, such as the berries of poison oaks and dogwoods. Normally, kinglets have a rather fleeting lifespan. These tiny birds can be considered old if they live three or four years. There are always exceptions. The oldest golden-crowned kinglet on record was six years and four months old. That individual, a male, was documented by a bird bander in 1976, according to the website All About Birds. Overall, kinglets are trusting, tame birds and a welcome addition to any flocks visiting your yard and garden. 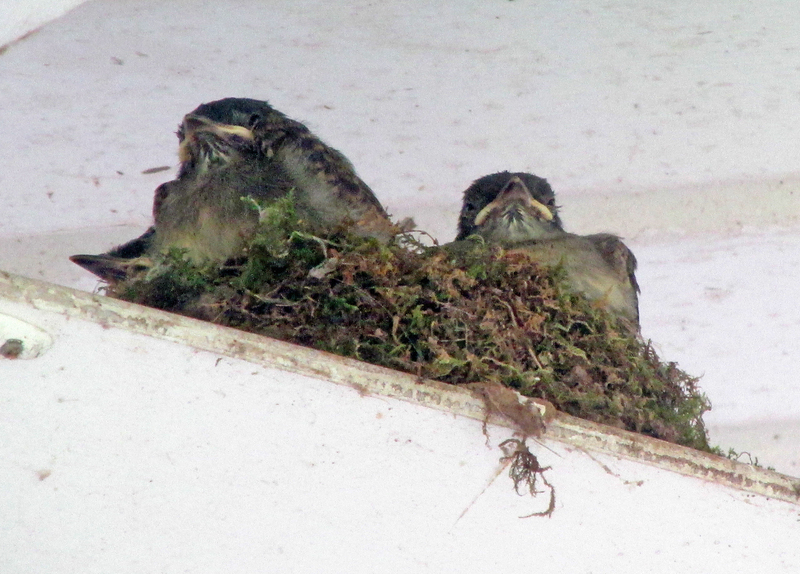 These tiny feathered sprites are definitely worth getting to know. 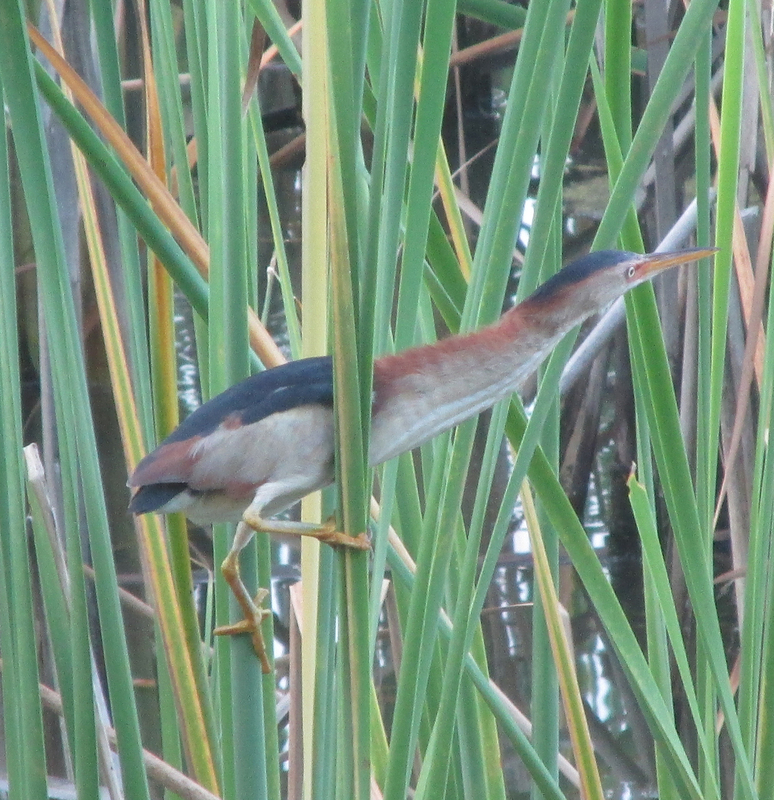 The Bristol Bird Club will conduct a birding trip of Burke’s Garden, Virginia, on Saturday, Feb. 11. Red-headed woodpecker, a relative of the Northern flicker, is among the target birds. Other possible birds will include golden eagles, rough-legged hawks, horned larks and a pair of bald eagles on a nesting site located in the beautiful, bowl-like valley of Burke’s Garden. Participants should plan to meet by 8 a.m. at the Hardee’s at 900 E. Fincastle St. in Tazewell, Virginia. Arrive early and enjoy breakfast. Attendees will carpool to Burke’s Garden. Those making the trip might also glimpse alpacas and a camel. Bring a bit of cash if you would like to enjoy a soup and sandwich lunch at the Amish Store. For more information on this trip, call Kevin Blaylock at (423) 943-5841. 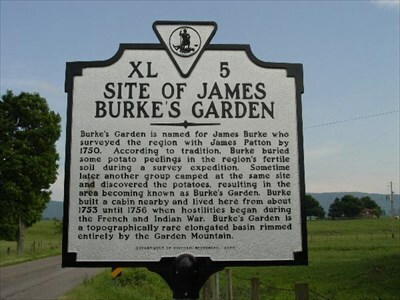 I visited Burke’s Garden for the first time almost 20 years ago on one of these February field trips. It was quite the memorable birding experience and yielded me my first-ever sightings of rough-legged hawk and common goldeneye. This entry was posted in Birding, Birds, Golden-crowned Kinglet, Kinglets, Ruby-crowned Kinglet, Winter birds and tagged Birding, birds, Birdwatching, Bristol Herald Courier, Bryan Stevens, Carter County Compass, Christmas Bird Count, Cuvier's Kinglet, Elizabethton Star, Erwin Record, Feathered Friends, Feeding birds, Golden-crowned Kinglet, John James Audubon, Kinglets, McDowell News, Northeast Tennessee, Our Fine Feathered Friends, Ruby-crowned Kinglet, The Erwin Record, Winter birds on January 29, 2017 by Bryan Stevens. Photo by Bryan Stevens • Abundant waterfowl, such as this Wood Duck, helped push the 2016 Elizabethton Christmas Bird Count to tie a previous record. The annual Christmas Bird Counts conducted by the Lee and Lois Herndon Chapter of Tennessee Ornithological Society found some good birds. The 74th consecutive Elizabethton CBC was held on Saturday, Dec. 17. Twenty-four observers in six parties, plus one feeder-watcher, participated. Conditions were generally favorable and featured mild temperatures (35-66 degrees) on a mostly cloudy day with windy conditions, especially in the higher elevations. I spent the morning and early afternoon counting birds with Chris Soto and Charles Moore along the Watauga River in Elizabethton. We also received some assistance from Michelle Sparks. Photo by Bryan Stevens • This female Eastern Towhee was one of several towhees found on the 2016 Elizabethton CBC. A total of 80 species were tallied, tying the all-time high for this count set in 2012. By comparison, the average over the last 30 years has been 72 species, according to the count’s long-time compiler, Rick Knight. 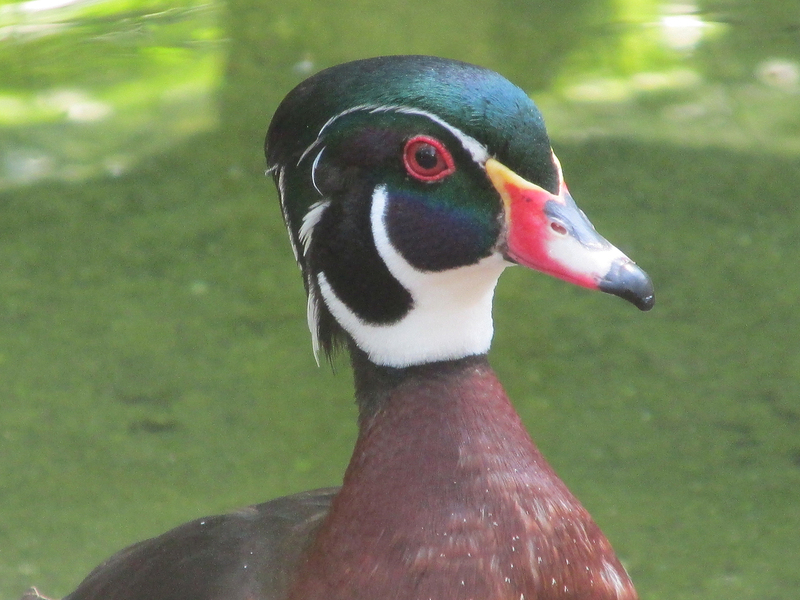 • 12 species of ducks (plus four more in count week) were counted on this year’s CBC. In particular, wigeon, shoveler, green-winged teal, both scaup and red-breasted merganser are scarce on this count, but all were found this year. • Double-crested Cormorant was found for just the seventh time on this CBC, with six of those times since 2004. • This CBC marked just the third time in the last 24 years and 10th ever on this CBC that Red-headed Woodpecker has made the count. • The seven Red-breasted Nuthatches reported represented an above average number for this species. • This was only the third time for Pine Warbler on this CBC in the last 50 years and the three Pine Warblers found this year represent a high count for this CBC. • A single Savannah Sparrow was the first on this CBC in 16 years. There’s not much accessible habitat for this sparrow within the count area. • Nine Purple Finches on this CBC marked the most found since 1987. 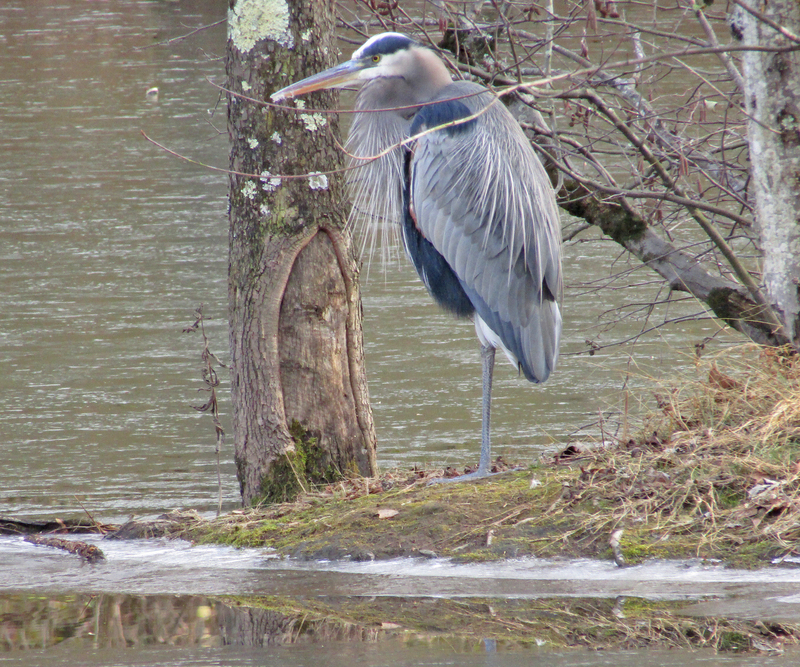 Photo by Bryan Stevens • The 26 Great Blue Herons found during the Elizabethton CBC almost tied the old record. 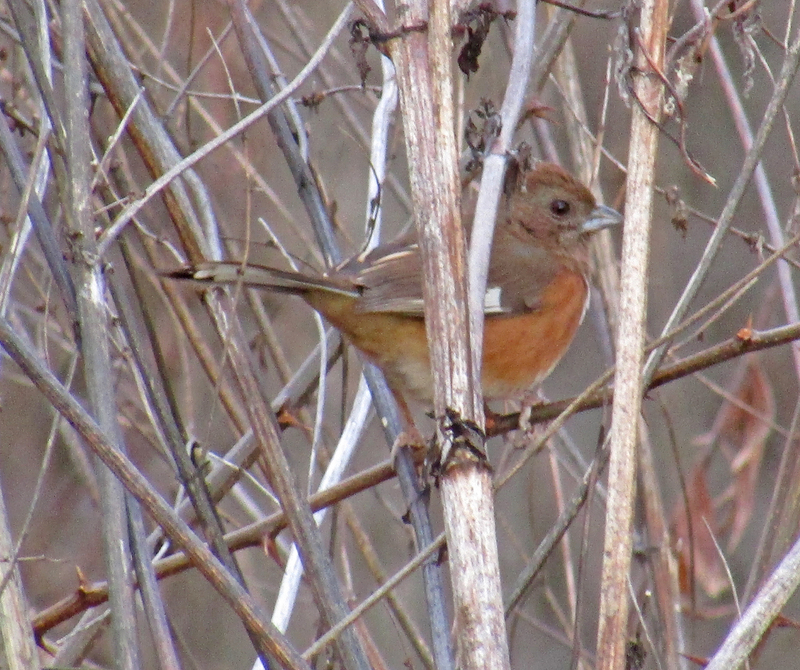 • Red Crossbills on this year’s CBC marked only the fourth occurrence on this CBC in the last 30 years. Nevertheless, the Elizabethton CBC had some notable misses, including Brown Creeper, White-crowned Sparrow and Pine Siskin. Some species are showing rather obvious trends on this CBC, according to Knight. • The 114 Wild Turkeys found are the second most found in the last 24 years. Prior to that date, no turkeys had been found on this CBC. • Great Blue Herons continue to increase. The 26 individuals found represent the second most ever reported on this CBC. • The four Bald Eagles found meant that this large raptor has been found for 17 of last 18 years, but only three times before that. • Only three Killdeers were found, which reflects a continuing decline on this CBC likely due to habitat loss and degradation. Photo by Bryan Stevens • The 47 Red-bellied Woodpeckers on the 2016 Elizabethton CBC set an all-time high for this species. • The eleven Eurasian Collared-Doves found means that this dove has been found five of the last eight years. • The 21 Belted Kingfishers found tied for second highest total ever for this species. • The 47 Red-bellied Woodpeckers found set a new high count for this species, which has shown a steady increase in the foothills and lower mountains. 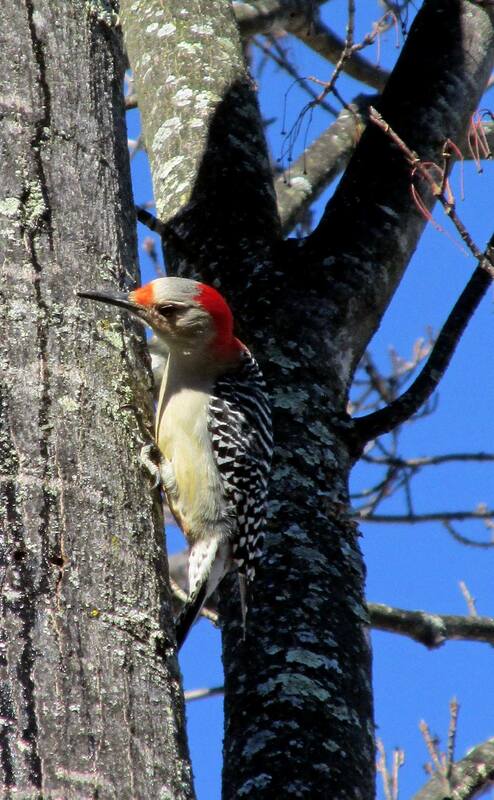 CBCs conducted in the 1970s in Elizabethton had only single-digit counts for this woodpecker. • Common Raven, with 13 found on this year’s CBC, has been found yearly since 1974, but none had appeared on this count prior to that date. • Eastern Bluebird numbers continued to rise yearly. The 177 bluebirds this year represent the third-highest count for this species. • Numbers for Field Sparrow, Song Sparrow and White-throated Sparrow showed the fewest of these three species since 1996, 1974 and 1969, respectively. These low sparrow numbers may be due to drought this year, which meant fewer seeds to feed these sparrows. Photo by Bryan Stevens • Feeder visitors, like this White-breasted Nuthatch, were abundant birds on both Christmas Bird Counts. Canada Goose, 426; Wood Duck, 1; Gadwall, 10; American Wigeon, 2; American Black Duck, 1; Mallard, 205; Northern Shoveler, 2; Green-winged Teal, 3; Ring-necked Duck, 1; Greater Scaup, 2; Lesser Scaup, 1; Bufflehead, 256; and Red-breasted Merganser, 4. Ruffed Grouse, 1; Wild Turkey, 114; Common Loon, 3; Pied-billed Grebe, 10; Horned Grebe, 21; Double-crested Cormorant, 4; and Great Blue Heron, 26. Black Vulture, 10; Turkey Vulture, 2; Sharp-shinned Hawk, 4; Cooper’s Hawk, 8; Bald Eagle, 4; and Red-tailed Hawk, 13. American Coot, 33; Killdeer, 3; Wilson’s Snipe, 4; Ring-billed Gull, 3; Rock Pigeon, 487; Eurasian Collared-Dove, 11; and Mourning Dove, 246. Eastern Screech-owl, 2; Great Horned Owl, 1; Barred Owl, 2; Belted Kingfisher, 21; Red-headed Woodpecker, 2; Red-bellied Woodpecker, 45; Yellow-bellied Sapsucker, 7; Downy Woodpecker, 23; Hairy Woodpecker, 7; Northern Flicker, 15; and Pileated Woodpecker, 24. American Kestrel, 13; Eastern Phoebe, 10; Blue Jay, 209; American Crow, 541; and Common Raven, 13. Photo by Bryan Stevens • American Crows are abundant birds on these two CBCs. Carolina Chickadee, 114; Tufted Titmouse, 102; Red-breasted Nuthatch, 7; White-breasted Nuthatch, 41; Winter Wren, 8; Carolina Wren, 85. Golden-crowned Kinglet, 19; Ruby-crowned Kinglet, 3; Eastern Bluebird, 175; Hermit Thrush, 4; American Robin, 105; and Northern Mockingbird, 40. European Starling, 809; Cedar Waxwing, 272; Pine Warbler, 3; and Yellow-rumped Warbler, 58. Eastern Towhee, 25; Chipping Sparrow, 29; Field Sparrow, 7; Savannah Sparrow, 1; Fox Sparrow, 1; Song Sparrow, 70; Swamp Sparrow, 2; White-throated Sparrow, 57; and Dark-eyed Junco, 135. Northern Cardinal, 92; House Finch, 74; Purple Finch, 5; Red Crossbill, 7; American Goldfinch, 101; and House Sparrow, 17. The 64th Roan Mountain CBC was held on Wednesday, Dec. 21, with six participants in two parties. Conditions were generally favorable: mild temperatures (21-53 degrees) were coupled with clear skies and no significant winds. Photo by Bryan Stevens • These American Black Ducks were found at Ripshin Lake during the Roan Mountain CBC. A total of 42 species were tallied, slightly below the recent 30-year average of 46. The all-time high was 55 species back in 1987. Despite the decent weather, birds were hard to find. I counted with Brooke and Jean Potter in the town of Roan Mountain and on Ripshin Mountain. Highlights included 12 American Black Ducks, a single Red-breasted Nuthatch, a solitary Ruby-crowned Kinglet and two Purple Finches. Notable misses for this count included Ruffed Grouse, Hairy Woodpecker, Northern Flicker, Brown Creeper, American Robin, Cedar Waxwing, Eastern Towhee and Pine Siskin. 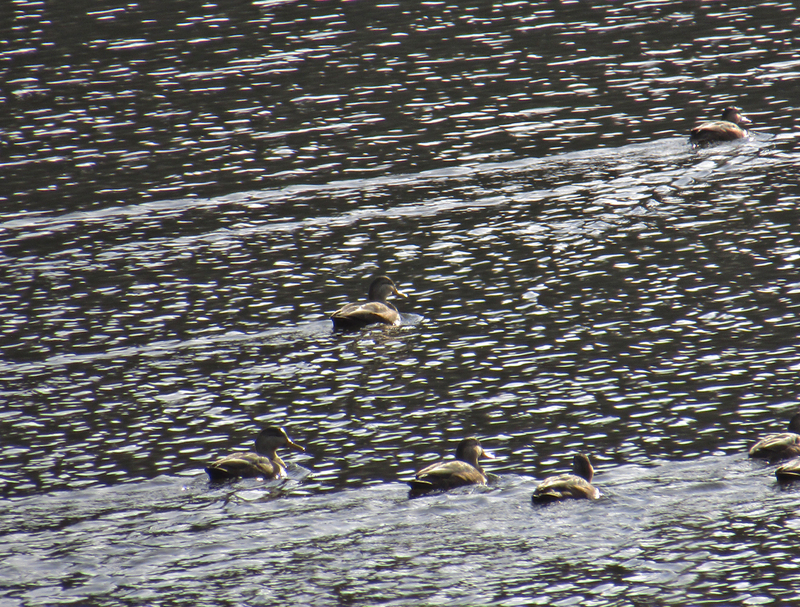 Canada Goose, 5; American Black Duck, 12; Bufflehead, 6; Wild Turkey, 8; Pied-billed Grebe, 1; and Great Blue Heron, 1. Turkey Vulture, 1; Cooper’s Hawk, 1; Red-tailed Hawk, 6; Rock Pigeon, 25; Mourning Dove, 66; Barred Owl, 2; and Belted Kingfisher, 1. 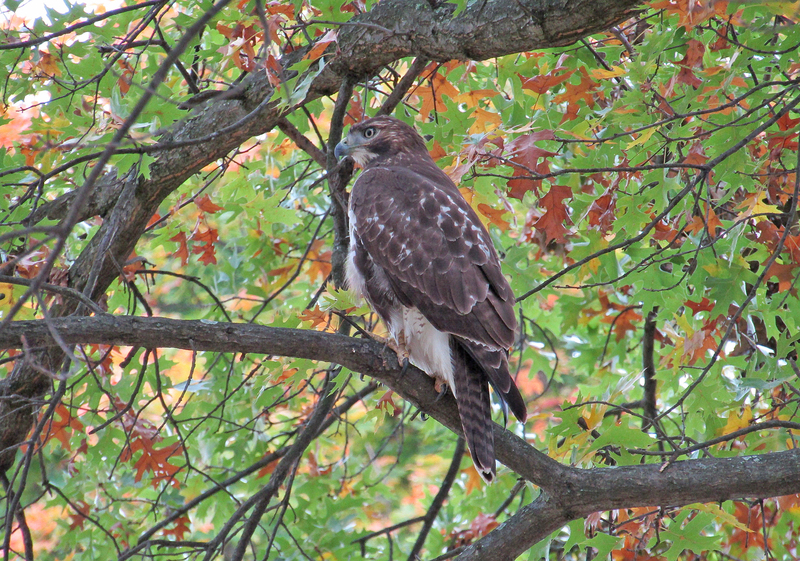 Photo by Bryan Stevens • Red-tailed Hawks are a fairly common winter raptor in the region. Red-bellied Woodpecker, 6; Yellow-bellied Sapsucker, 1; Downy Woodpecker, 7; and Pileated Woodpecker, 2. Eastern Phoebe, 1; Blue Jay, 22; American Crow, 170; and Common Raven, 9. Carolina Chickadee, 24; Tufted Titmouse, 17; Red-breasted Nuthatch, 1; White-breasted Nuthatch, 6; Winter Wren, 2; and Carolina Wren, 18. Golden-crowned Kinglet, 7; Ruby-crowned Kinglet, 1; Eastern Bluebird, 6; Northern Mockingbird, 3; and European Starling, 78. Field Sparrow, 10; Fox Sparrow, 2; Song Sparrow, 55; White-throated Sparrow, 8; Dark-eyed Junco, 68; and Northern Cardinal, 12. House Finch, 6; Purple Finch, 2; American Goldfinch, 17; and House Sparrow, 24. This entry was posted in Christmas, Christmas Bird Count, Christmas birds, Common Birds of Northeast Tennessee, Uncategorized, Winter birds and tagged Birding, birds, Birdwatching, Bristol Herald Courier, Bryan Stevens, Carter County Compass, Christmas Bird Count, Elizabethton Star, Erwin Record, Feathered Friends, McDowell News, Northeast Tennessee, Our Fine Feathered Friends, The Erwin Record, Winter birds on January 15, 2017 by Bryan Stevens. 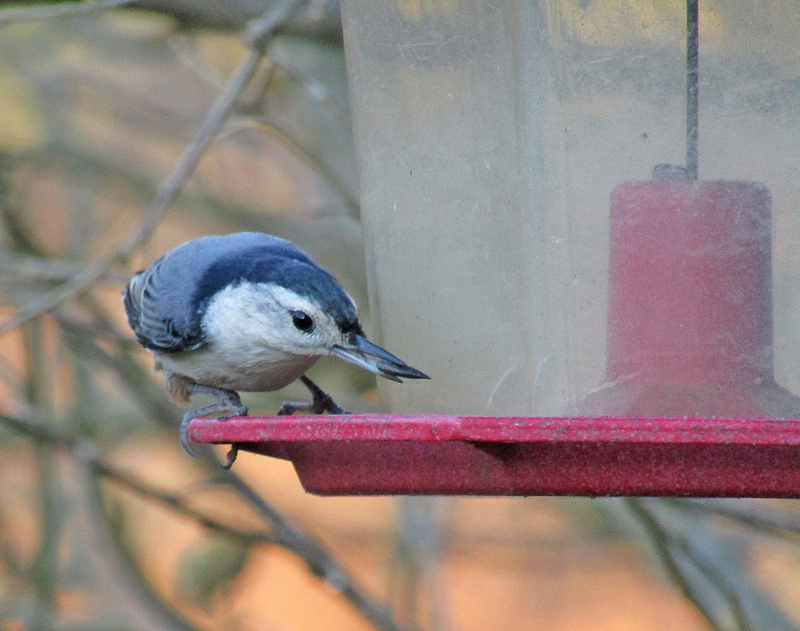 Some recent bouts of cold weather brought increased numbers of birds to my feeders. It’s easy to look at the birds flocking to feeders and think that this special relationship between them and their human hosts is a long-running one. However, the practice of tempting birds with food to invite them to take part in our daily lives is a fairly recent one. The concept of feeding the birds began to develop in the 19th century, motivated in part by some of the early naturalists and transcendental thinkers of New England. 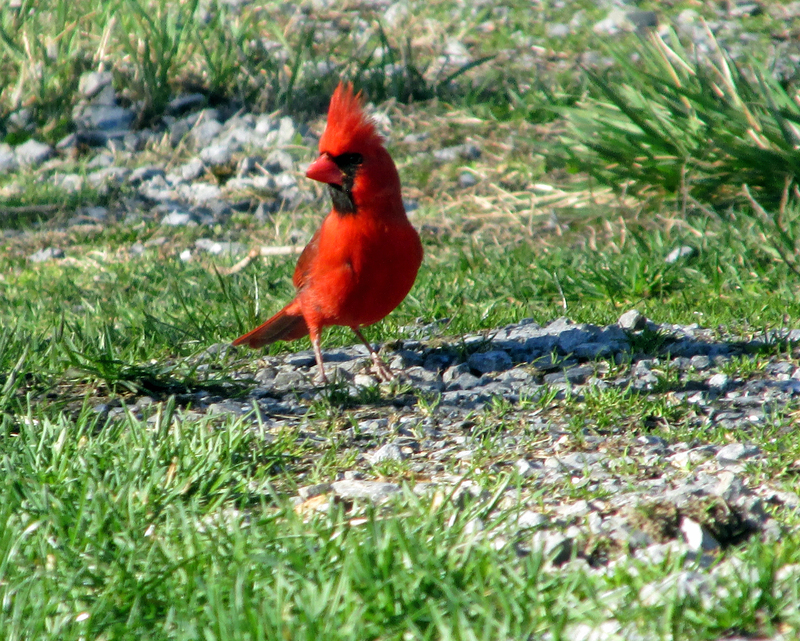 A Northern Cardinal checks out a gravel drive for dropped seeds. 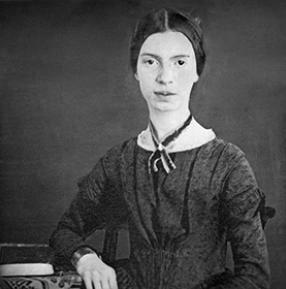 For instance, the 19th century writer Emily Dickinson described feeding birds in some of her poems. In addition, she wrote about hummingbirds attracted to the flowers in the gardens that she tended with her sister at their home in Amherst, Massachusetts. 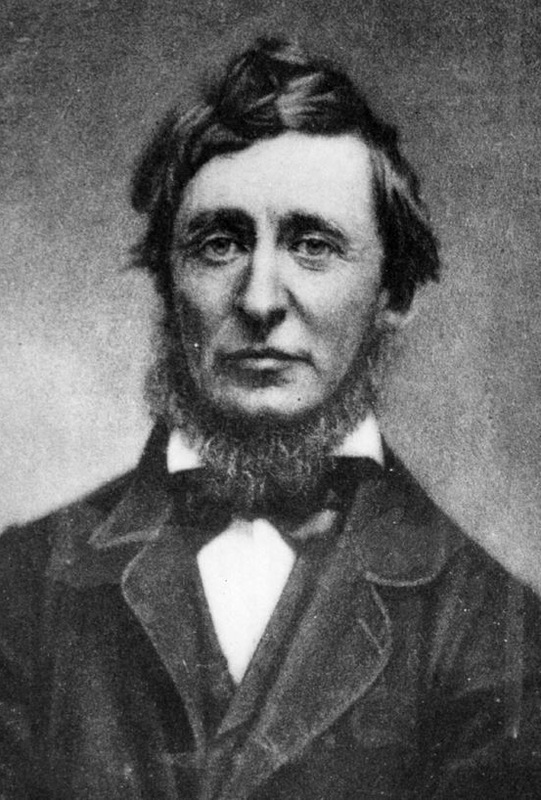 Dickinson’s fellow writer, Henry David Thoreau, fed birds at Walden Pond as early as 1845. He later wrote his pivotal work, “Walden,” based on his experiences living in his small cabin in the woods. The work is filled with his description of birds and other wildlife. The late John V. Dennis, author of “The Complete Guide to Bird Feeding,” sketches out the history of feeding birds in his informative work. Dennis noted that early American naturalist and painter John James Audubon wrote in the 18th century about people from the old country (Europe) feeding birds during spells of bad weather. For a long time, Dennis noted in his book, feeding of birds remained rather sporadic. This began to change in the late 1800s. The evolution of bird feeding was documented by Florence Augusta Merriam Bailey, a 19th century ornithologist and naturalist. Bailey wrote “Birds Through an Opera Glass” in 1889, becoming one of the first writers to write about birds for popular audiences without too much emphasis on the more scientific aspects of ornithology. She also wrote “Birds of Village and Field: A Bird Book for Beginners,” intended to foster an interest in birds and birding among the general public. Bailey even identified in her writings the first person — a Mrs. E. B. Davenport — to implement a winter-long, even year-long, practice of feeding birds. 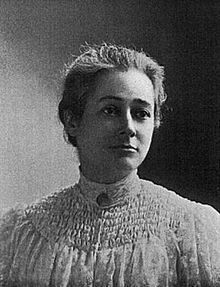 Another woman — Caroline Soule — developed the first hummingbird feeder back in 1900. She took a glass cylinder, filled it with a sugar water mixture and attached an handmade artificial flower to it. 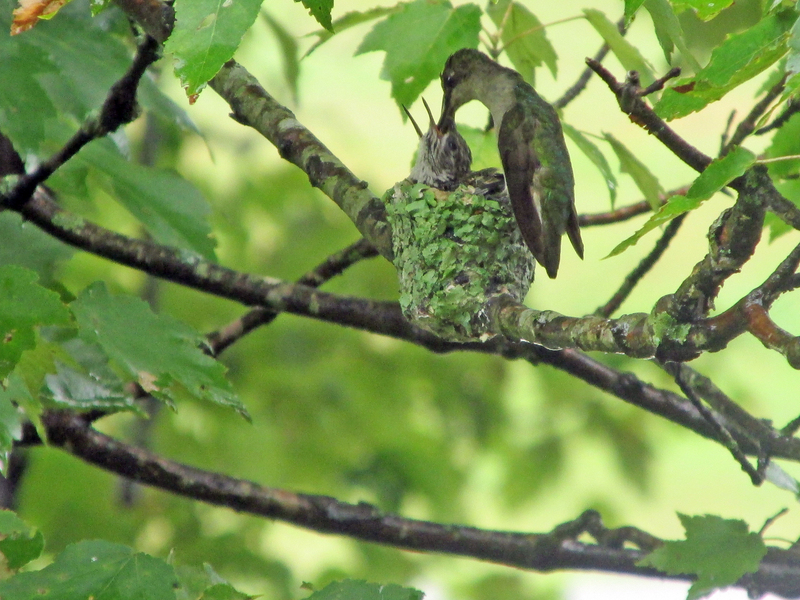 When she hung the feeder near a trumpet vine at her home, she reported that the hummingbirds readily fed from her feeder. Dennis noted that Soule’s basic feeder design has needed very little modification in the last century. House Finches visit a feeder in suburban Atlanta, Ga.
Althea Sherman discovered that ruby-throated hummingbirds quickly learned to associate clear bottles filled with sugar water as a source of food. 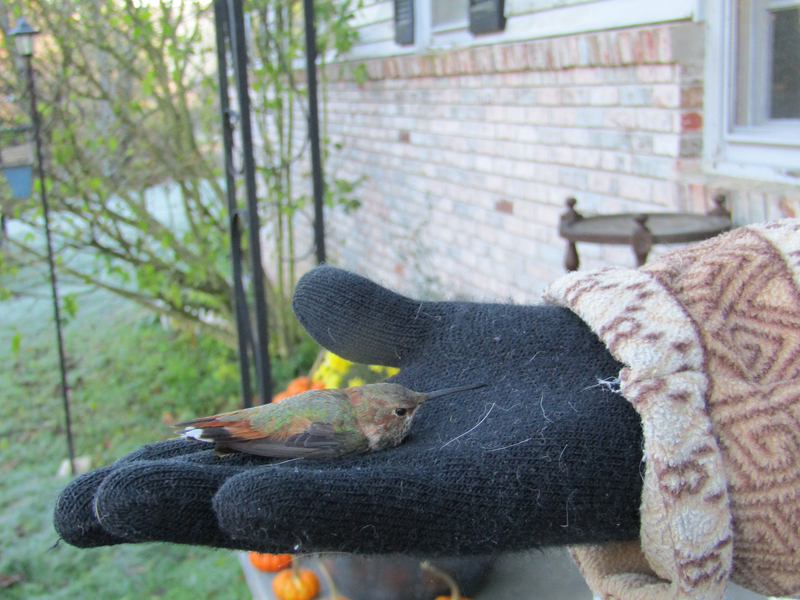 Her 1913 study of hummingbird feeding behavior also noted that hummingbirds remembered the locations of artificial feeders from a previous year and would hover at those precise spots when they returned each spring. So, in less than a century, humans have had a major influence on hummingbirds, helping them adapt to supplemental food sources provided by humans hoping to lure these tiny birds into their yards and gardens for extended stays. Feeding of birds expanded rapidly in popularity. Today, some estimates indicate that as many as 55 million Americans regularly feed the birds in their yards and gardens. Bird feeding is second only to gardening as the most popular hobby in the United States. The two activities can also overlap. The month of February was named National Bird-Feeding Month by the U.S. Congress back in 1994. 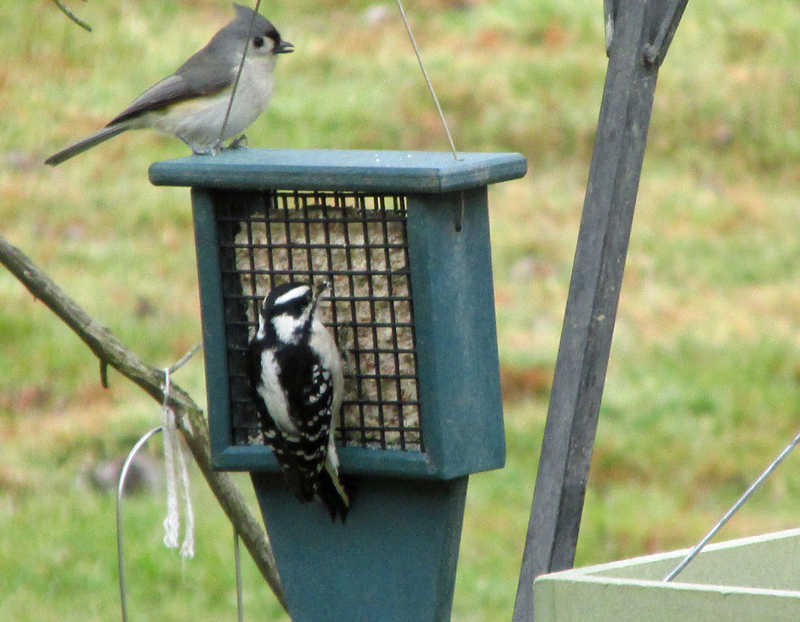 A Tufted Titmouse and Downy Woodpecker visit a feeder for a chunk of suet. Feeding the birds can be expensive, but all that money is, without a doubt, good for the economy. Americans spend about $3 billion a year on bird feed. Another $800 million goes to purchase bird feeders, baths and houses. The variety of food is quite extensive, but I generally offer black oil sunflower seeds and commercial mixtures of suet and peanut butter. I sometimes supplement my offerings to the birds with peanuts, nyjer thistle seed (a favorite of American goldfinches) and safflower seed. The latter is useful if you want to discourage squirrels. Unfortunately, the hard shells of safflower seeds also make them inaccessible to some smaller birds, but birds like tufted titmouse and Northern cardinal appear to have no difficulty with these seeds. Some people have great luck feeding a wide range of birds, including Eastern bluebirds, Baltimore orioles and ruby-crowned kinglets. My bluebirds show an occasional interest in my feeders, but orioles and kinglets have largely ignored them. For bluebirds, mealworms, which can be purchased live or freeze-dried, are a very popular food. 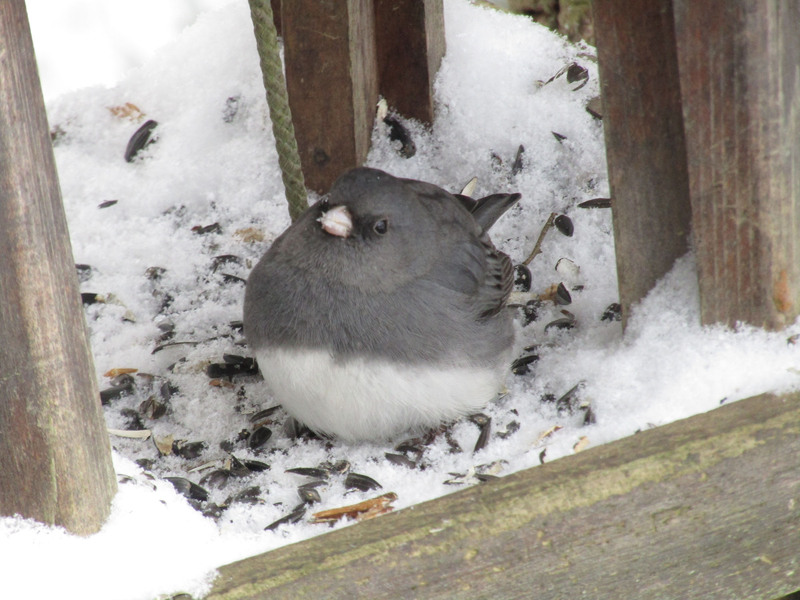 Dark-eyed Junco visits a feeder during a snowstorm. 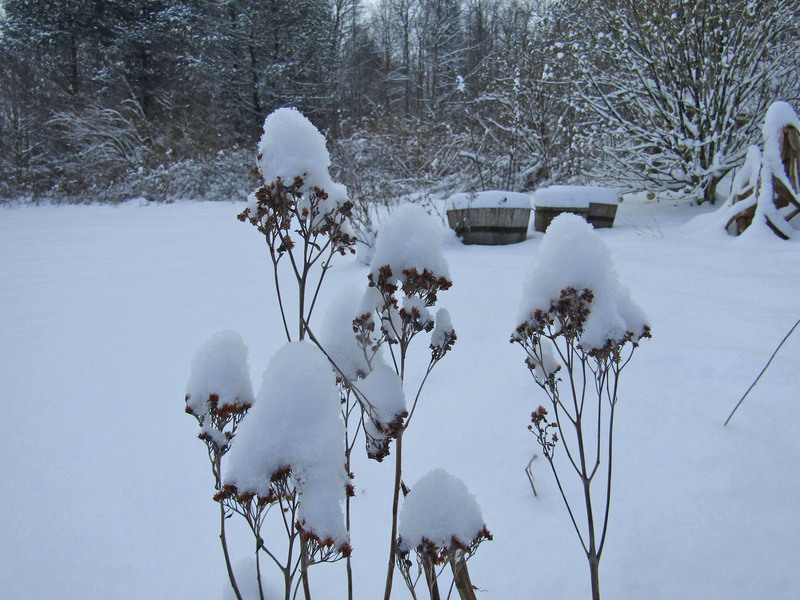 I’ve come a long way since my childhood when my grandmother would let me scatter crumbled cornbread on the ground for the dark-eyed juncos ahead of snowstorms. I also remember that the juncos, or snowbirds, would flock to the site where my grandfather dumped the ashes from his wood stove. I suspect the ash provided supplemental minerals and nutrients craved by the birds. Some birds are quite adventurous in their tastes. On a whim, I once placed a stale McDonald’s apple pie on my front porch during a winter cold spell. A Carolina wren discovered the pastry and made frequent trips each day to feast on this unexpected bonanza. The wren whittled away at the pie, which soon disappeared. I suspected the wren probably advertised to friends, so other wrens may have helped in finishing off the pie. Human generosity can help birds survive frigid cold snaps, but for the most part, they’re not dependent on humans for their food. The reason to feed birds is entirely a selfish one. We take immense pleasure in observing their antics as they interact with each other at our feeders. Experts have even shown that such activities as bird feeding can be therapeutic in reducing stress in human observers. People can also choose to further the cause of science by taking part in studies such as Project FeederWatch, a nationwide survey of bird populations focused on birds coming to feeders maintained by project participants. 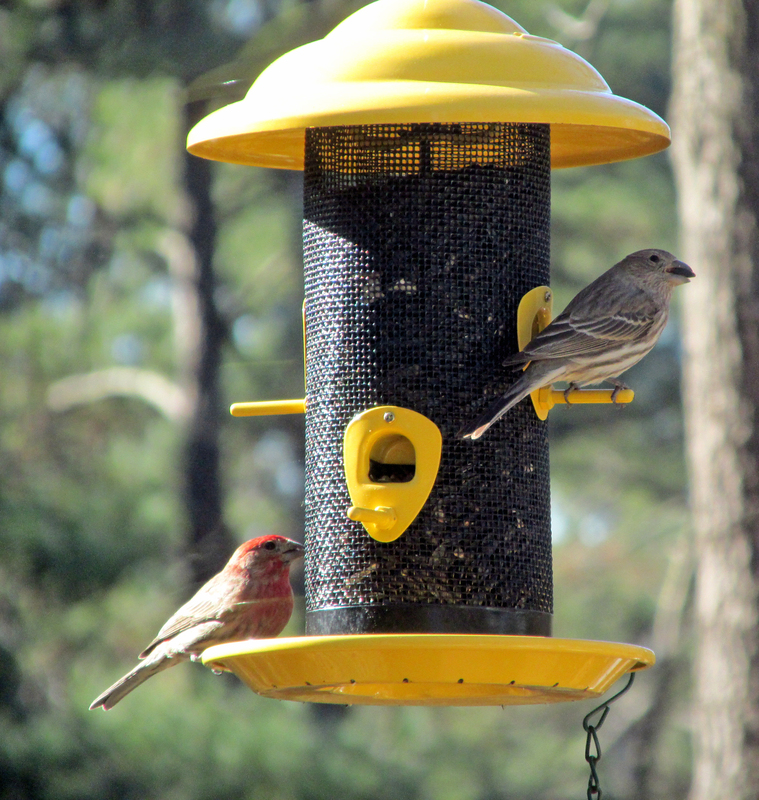 In the 2015-16 winter season, 1,373 individuals participated in Project FeederWatch in the southeastern United States. The most common birds reported by observers were Northern cardinal, Carolina chickadee, mourning dove, American goldfinch and tufted titmouse. Finishing out the Top 10 feeder birds in this section of the nation were Carolina wren, house finch, blue jay, red-bellied woodpecker and downy woodpecker. Almost 98 percent of participants reported Northern cardinals at their feeders, which means the cardinal has become an almost universal feeder visitor in the southeast. The roots of Project FeederWatch extend back to 1976 Ontario, Canada, when Dr. Erica Dunn with Canada’s Long Point Bird Observatory established the Ontario Bird Feeder Survey. After a successful 10-year run, its organizers realized that only a continental survey could accurately monitor the large-scale movements of birds. Therefore, Long Point Bird Observatory decided to expand the survey to cover all of North America. The Lee and Lois Herndon Chapter of Tennessee Ornithological Society, based in Elizabethton, Tennessee, is once again offering for sale its annual calendar. All proceeds from sales of the 2017 calendar benefit the chapter’s work to promote birds and birding. This year’s calendar features nearly 100 full-color photographs. Calendars are $15 and can be obtained at the office of the Bristol Herald Courier, 320 Bob Morrison Blvd., Bristol, Virginia. To reserve a copy, email me at ahoodedwarbler@aol.com or message me on Facebook. This entry was posted in Birding, Birds, Feeding birds, Project FeederWatch, Winter birds and tagged Birding, birds, Birdwatching, Bristol Herald Courier, Bryan Stevens, Carter County Compass, Elizabethton Star, Erwin Record, Feathered Friends, Feeding birds, McDowell News, Our Fine Feathered Friends, The Erwin Record, Winter birds on January 8, 2017 by Bryan Stevens. 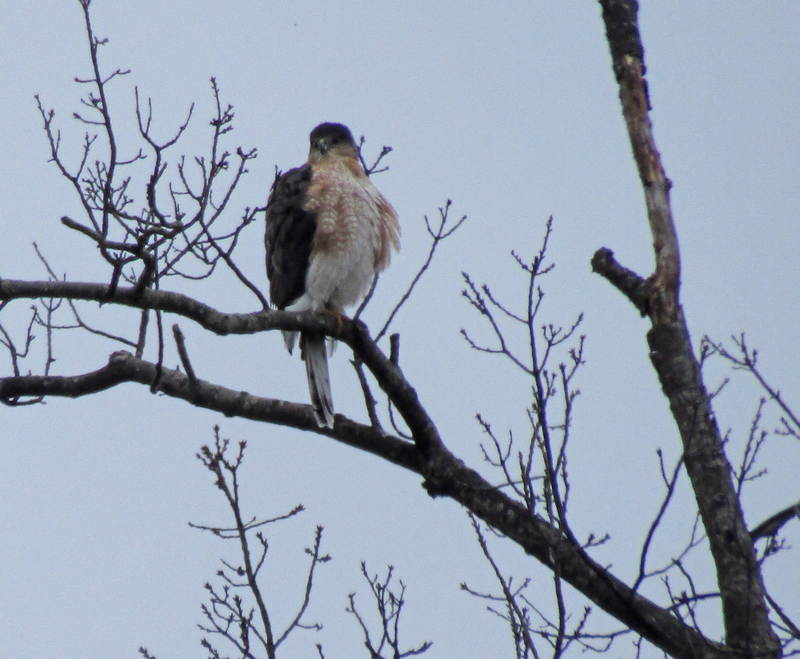 Photo by Bryan Stevens • This adult Cooper’s Hawk was found on the 2016 Elizabethton CBC. I participated in the annual Elizabethton Christmas Bird Count and Roan Mountain Christmas Bird Count conducted by the Lee and Lois Herndon Chapter of Tennessee Ornithological Society on Saturday, Dec. 17, and Wednesday, Dec. 21. During the Elizabethton Count with my fellow counters — Charles Moore, Chris Soto and Michelle Sparks — we found some good winter birds, including gadwalls and buffleheads on the Watauga River, white-throated sparrows and yellow-bellied sapsuckers at Sycamore Shoals State Historic Park and a Cooper’s hawk near the American Legion headquarters near downtown Elizabethton. I helped Brookie and Jean Potter with the Roan Mountain CBC. Some of our good birds included Ruby-crowned Kinglet, American Black Duck and Purple Finch. I will provide the results of both these CBCs in upcoming blog posts. Despite a sore toe that hampered my walking this year, I was determined to take part. I’ve participated in Christmas Bird Counts, often shortened by birders to CBCs, since the late 1990s. Other long-running CBCs in the region include the Bristol CBC, the Shady Valley CBC and the Roan Mountain CBC. I have always tried to take part in this annual tradition which has become part of my own holiday celebration. Photo by U.S. 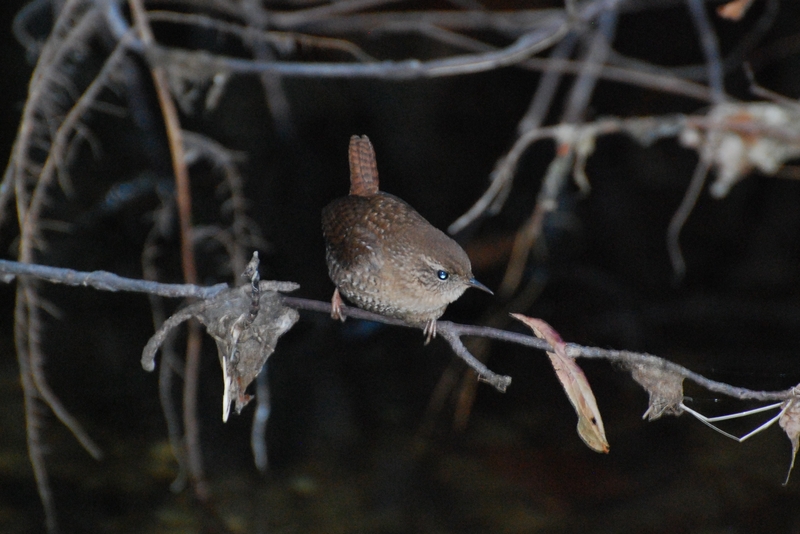 Fish & Wildlife Service • The Winter Wren is a small but noisy bird. According to the National Audubon Society’s website, the tradition of the Christmas Bird Count arose from a less than bird-friendly custom. By the turn of the 20th century, so-called sportsmen would conduct a “Side Hunt,” a rather blood-thirsty Christmas custom that saw hunters competing to see who could score the largest amount of feathered and furred corpses. Whether or not the “Side Hunt and “Wren Hunt” shared any connections, it was a huge step forward for conservation when preeminent ornithologist Frank M. Chapman proposed a new holiday tradition. 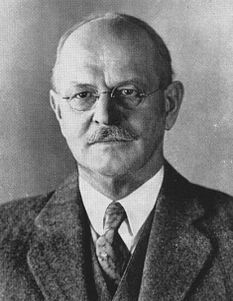 His radical idea was to count birds during the Christmas season rather than hunting and killing them. The Christmas Bird Count is now conducted each year on dates between Dec. 14 and Jan. 5. The first CBC took place in December of 1900 with 27 observers participating at 25 locations in the United States and Canada. Fifteen of the counts were conducted in the northeastern United States from Massachusetts to Philadelphia. Results from that first count in 1900 didn’t truly reflect the diversity of North America’s birds, but there were nonetheless interesting. The Greater Boston CBC boasted only one participant and only found 17 species. However, some of those species included such good birds as American tree sparrow, brown creeper, Northern shrike and Northern bobwhite. Photo by Dave Menke/U.S. 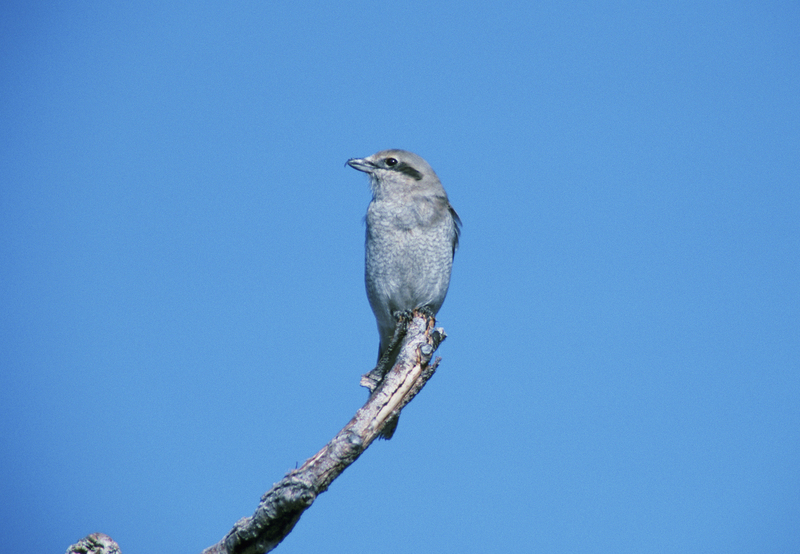 Fish & Wildlife Service • The Northern shrike, pictured, was one of the birds represented on one of the very first Christmas Bird Counts conducted in the United States. These days the Christmas Bird Count is also conducted in almost 20 other nations around the world, although participants still largely hail from the United States and Canada. CBCs are still conducted under the auspices of the National Audubon Society. The CBC is one of the earliest examples of citizen science in action. People of different levels of experience can easily participate in a CBC and in so doing contribute to the scientific data available about bird populations in winter in the United States. Trends can be deduced from some of the fluctuations in populations of various bird species in different regions of the nation. 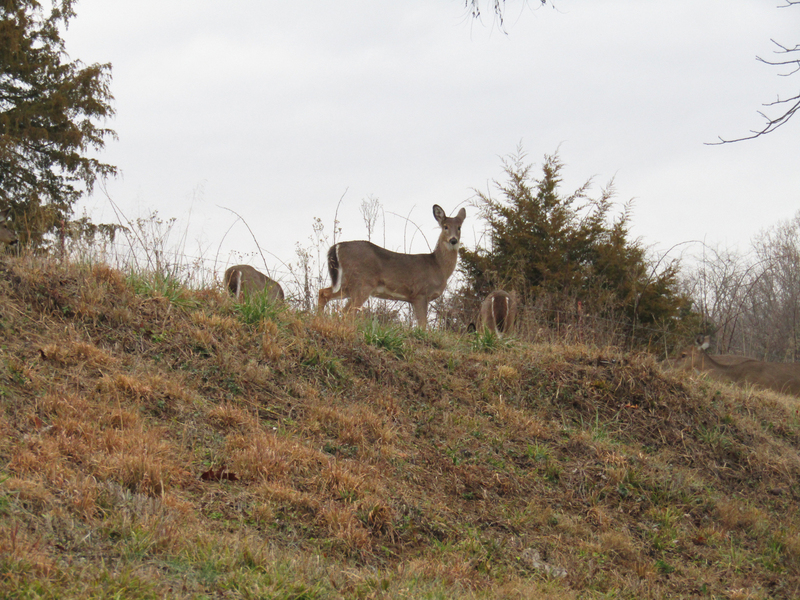 Photo by Bryan Stevens • Other wildlife, such as white-tailed deer, is often spotted while counting birds for the CBC. We’ve come a long way since the days when birders used a gun to bring a bird up close and personal for inspection. There’s still competition, but these days birders are trying to see which count party can observe and identity the most species of birds. The only evidence we bring back from the field is an occasional photograph. I had a mistake in a recent post on the history of feeding birds. Americans spend about $3 billion a year on bird feed. 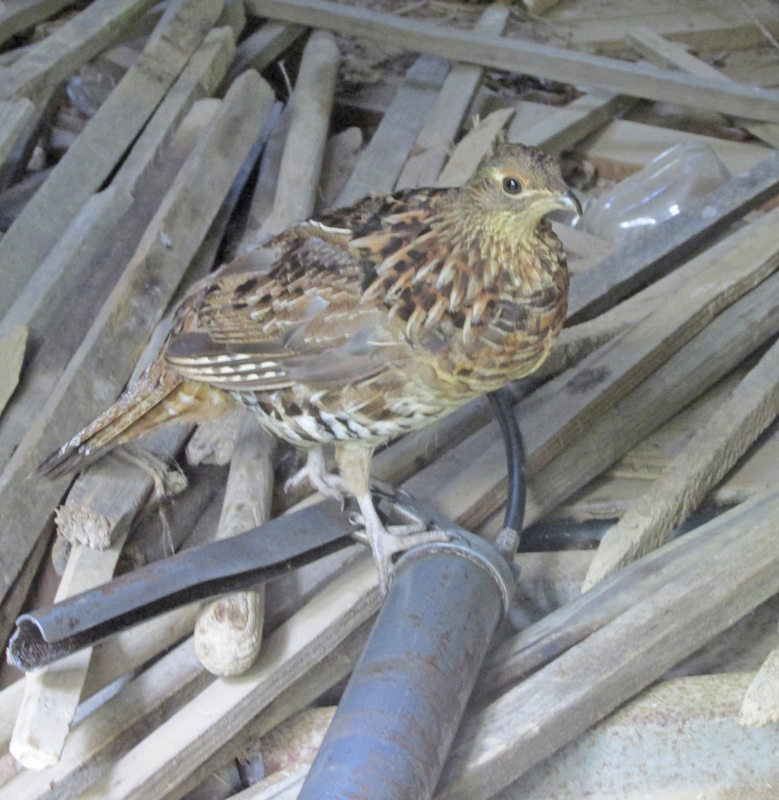 In my recent post, I erred in stating that the figure spent on bird seed was $3 million. When you think about it, Americans really do love their birds. The evidence is right there in how much money we spend to feed them. I hope readers of my weekly blog posts enjoyed a wonderful Christmas. My wish for 2017 is that everyone gets to see plenty of fun birds. This entry was posted in Birding, Birds, Christmas, Christmas Bird Count, Uncategorized, Winter birds and tagged Birding, birds, Bristol Herald Courier, Bryan Stevens, Carter County Compass, Christmas Bird Count, Elizabethton Star, Erwin Record, Feathered Friends, McDowell News, Northeast Tennessee, Our Fine Feathered Friends, The Erwin Record, Winter birds on January 1, 2017 by Bryan Stevens.